Businesses without cloud communications are losing an aggregate $700 billion per year due to information and communication technology (ITC) downtime*. So, why are so many companies still sitting on the sidelines? For many, it's because they are simply unsure of where to start. 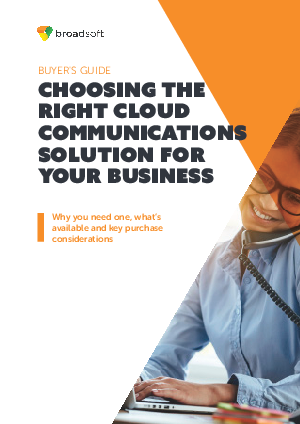 Read the Cloud Communications Buyer’s Guide to discover best practices for evaluating and implementing the right cloud communications solution for your business. Find out how more businesses are realizing the benefits of moving from traditional, office-based phone systems to cloud-based unified communication solutions.